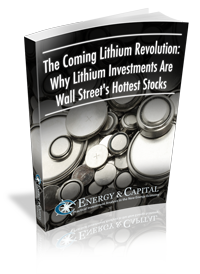 What is the world's best long-term electricity play? It's debatable. Some people might say coal or natural gas. Others might say nuclear, solar, hydrogen fuel cells, or something else related to electricity generation. Still others might say the best electricity play isn't related to generation but instead storage. And they might say lithium batteries are the best long-term electricity play. So what is it? What's the world's best long-term electricity play? Well, we think we have an answer. But before we can approach the question, let's define “long term” so we can frame the answer. For this purpose, let's say “long term” is a lifetime. What is the best electricity play over a lifetime? In the big picture, the mass use of electricity is relatively new. The expansion of electrical generation and distribution systems in the United States, Britain, and other developed nations began in the mid-1880s. And they weren't really fully built out until decades later in the early 20th century. Meanwhile, there are still developing countries today building out their electrical generation and distribution systems. Since then, there have been many alternatives used in generating electricity. The three main sources of electricity here in the United States and other developed nations today are coal, natural gas, and nuclear. Wind, hydro, biomass, and others also contribute. Of course, that's rapidly changing with new regulations. The United States, Canada, many countries in Europe, Asian nations like China, and many others around the world are currently working to make electricity generation cleaner. But as we've already touched on, electricity generation is only part of the whole story. Electrical storage is also a big part of the commercial electric system. But we don't think the best long-term electricity play falls into the generation or storage categories. Fact is, the technology for electricity generation and storage will change over your lifetime. Already, you've seen big changes. But there's one part of the electrical system that's remained very consistent throughout the decades and remains set to hold its position. I'm talking about distribution, and specifically the use of copper wire to distribute electricity through a national system. You already know this: Copper plays a vital role in electric systems. The metal is absolutely everywhere. It's completely surrounding you right now if you're in any kind of building with electricity. Everything that's plugged into a wall is using a copper wire to move electricity from the wall to the device. Every wire connected to a wall socket in every building is made of copper. And the wires that brought the electricity to the building: copper. If you could, for some reason, only see copper and nothing else around you, it would appear as if you were caught in the middle of a copper spiderweb. 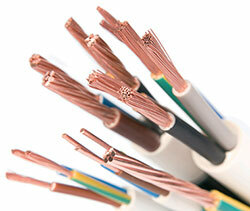 Around 66% of all the world's mined copper ends up as an electric wire or other electric conductive product. The rest is divided between corrosion resistance, heat transfer, and structural applications. Only 2% of all copper ends up as an aesthetic application. And by now, you probably see where we're going with this: It doesn't matter what the power plant is using to produce electricity; it's going to use copper to distribute it to customers. It's all about the copper. As mentioned, you've already seen changes to the electrical system in your lifetime. More are coming. But the one thing that is bound to stay is the copper wiring. So if you want to invest in electricity for the long term, copper is perhaps one of your best bets.